Do you frequently look for kids lunch box ideas? 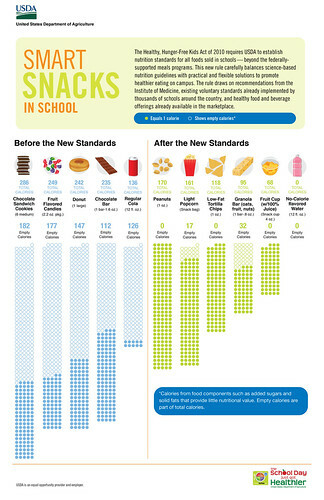 Do your food choices differ from what your kids would choose? When he explained his drawing, I was pleasantly surprised. He ‘packed’ a Nutella sandwich, rice cake, square pretzels, a green apple and a water bottle. I love these lunch box ideas. My husband and I enjoy the convenience of the school lunch but I prefer to have a little more input on what my boys eat, at least until I can really can an understanding of how healthy our school district’s lunches are. I’m learning more from Let’s Move Pittsburgh about how to understand what is offered by our school’s food services program. But for now, I want our boys to pack more often than they buy. After seeing this drawing, I feel like my effort to teach them about healthy food choices is having some good results. I like that when they are told to make their own choices, the choices include at least one fruit! That’s not too bad! I feel like I can give my boys some input on their lunches and I can continue to present them with good options. I’m hopeful that we are building healthy kids lunch box ideas! Understanding the importance of brain food is not rocket science. Enough research has proven the value of breakfast and a balanced diet not just for kids but for adults, too. I do believe what we eat can impact our total well-being. If you want your kids to do well in school and if you want to get through work or a workout without feeling like a total zombie, then you must pay attention to what you put in your mouth. So when Nicole from The Best Colleges contacted me about this infographic and asked me to review it, I happily agreed. And I felt that her advice was useful not just for college students but for anyone looking to do their best. I was dismayed to read about the amount of fast food college students eat but relieved that coffee and dark chocolate (in moderation) can boost memory and reduce stress. Since my own children are still in elementary and preschool, I control most of what they eat and include a lot of brain food. But parents of college students have to trust their children will adopt or continue good habits. I remember reasonably healthy options offered in my college dining hall, but when I moved off-campus and had to cook for myself an unhealthy amount of pepperoni Hot Pockets entered the picture. And what about campuses in big cities that might be in food deserts? Did your nutrition get worse when you were in college? Does anyone know of colleges including farmer’s markets or increasing fresh produce options in campus eateries? Not everyone likes trying new foods. It’s funny that while my husband and I will be adventurous about our eating out and about and restaurants, we often exchange nervous looks when our CSA serves up a vegetable that neither of us are used to using. It’s actually quite beautiful when you look at it up close. I did a tiny bit of reading and found a simple recipe that I could make without too many opportunities for mistakes. For me, trying new foods needs to be simple. The recipe is simple. Chop the cabbage. Add some lemon juice and warm up some chicken or vegetable broth. Cover and steam the cabbage for about 5 minutes. When it’s done you can add garlic, salt and pepper, ginger, sesame…all kinds of flavors. So easy my three year old helped me cook it. The color of this cabbage was exciting for my son. If you’re looking for ways to add color to dinner and interested in trying new foods, this isn’t a bad choice. The flavor is mild and it’s not too hard to clean or chop. Apparently the lemon juice keeps the cabbage from turning blue while cooking. Trying new foods – Some like it hot! The real test came when the steamed cabbage appeared on the dinner table. We don’t pretend to our kids that we like every food we serve for dinner. We think it’s important that they see us actually trying new foods. We want them to know we understand how they feel when they’re encountering something new and that’s it’s tricky for us, too. We had salmon, pasta and sauce and red cabbage for dinner tonight. My three year old eagerly scooped some on his plate because he helped cook the cabbage. My husband and I tried it and found it to be mild and possibly improved by the addition of some zinger flavors like ginger or even soy sauce. My picky eater chose not to try it today (but that doesn’t mean he won’t later). My oldest took a tiny taste then grabbed a bigger bowl to enjoy a larger portion!